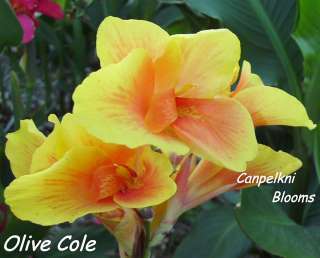 Other Australia Cole Cannas raised by Charles Frederick Cole who is also known as C F Cole. 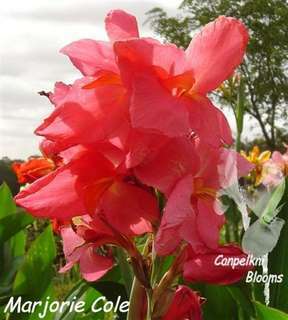 some other cannas are L.G Cole and Margaret Cole. 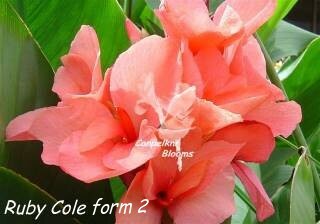 Madame Cole is another cultivator of the Cole cannas which is also known as Philip in Australia. 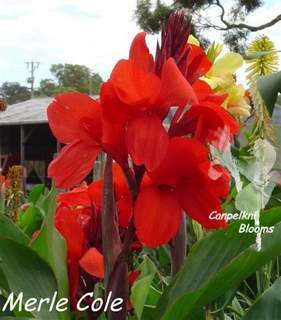 Cannas Marjorie Cole are short growing garden plants. 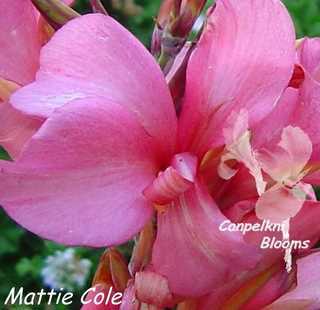 Canna Mattie Cole raised by C F Cole named this plant after his mother Martha Cole. The all red Merle Cole. 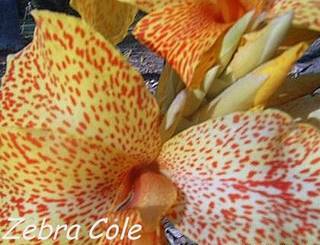 Olive Cole with vibrant and colorful orange and yellow. 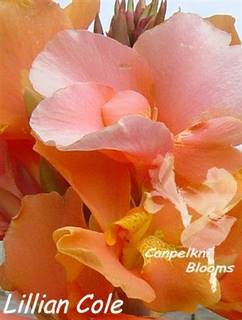 Canna Ruby Cole shows deep pink. 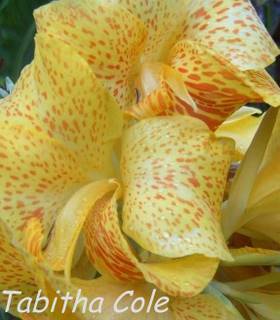 This is the another of the Cole canna plants that I grow. 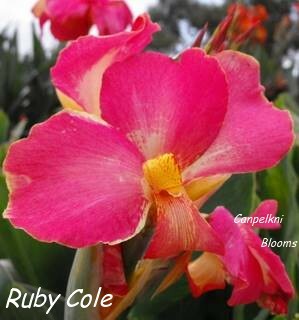 It can also be found growing and circulation throughout Australia under the name Ruby Cole, I keep it as form number 2. This is one of the few Cole cannas that has had its name misplaced over the years. Tabitha Cole with green leaves.